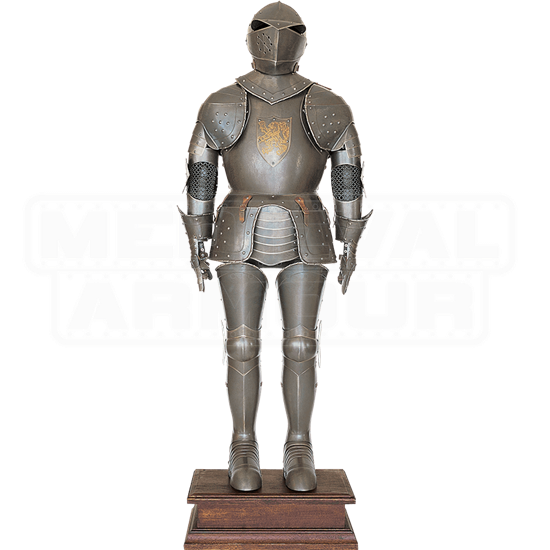 Demonstrate your passion for European history with the breathtakingly beautiful 16th Century Aged Finish Full Suit of Armor. 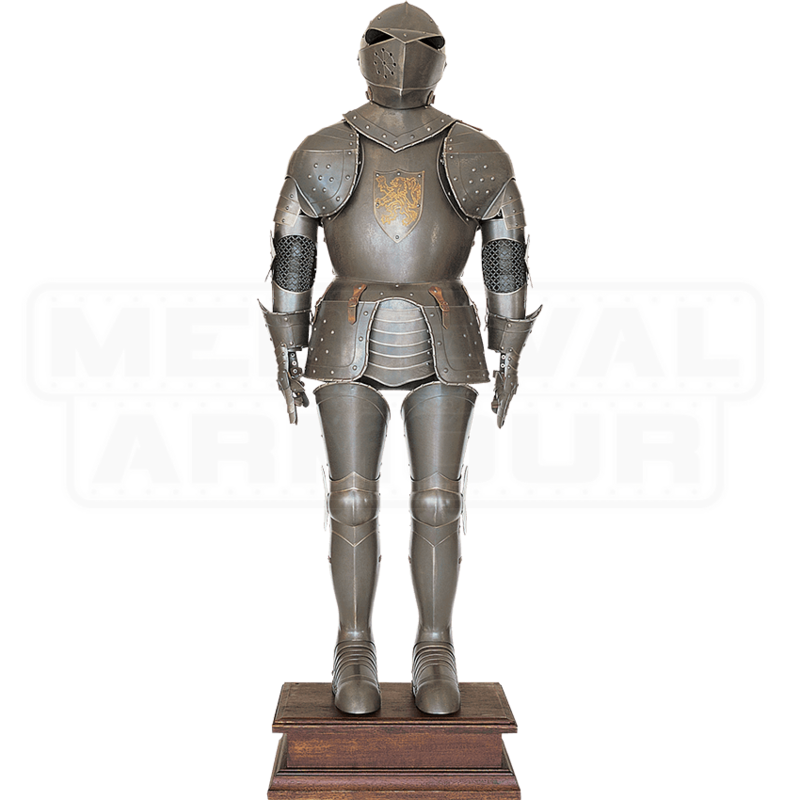 This is a wearable set of handcrafted steel armor which is made in Italy and exemplifies a Milanese style. A men-at-arms style helmet, complete with visor and eye slits, narrows the time period of this design to early 16th century, when Italian master armorers would create master pieces such as this for prominent nobleman and captains across Europe. A heraldic lion decorates the chest of this armor, adding a splash of color to this design and furthering the air of nobility which it provides. Included with this exquisite armor set is a steel sword and a gorgeous wooden display stand, allowing for it to easily grace your home or office as an elegant decoration. Whether the 16th Century Aged Finish Full Suit of Armor being worn or displayed, it will give you a taste of Renaissance nobility designs.